Groaning under intense hardship imposed by poor government policies and global economic crunch, over 20 shipping firms have exited the nation’s shores. This is coming as Dockworkers Union of Nigeria (DUN) lamented that over 3,000 workers have already been laid off by various shipping companies, terminal operators and logistic companies, owing to lack of financing and poor import policies of the Federal Government. 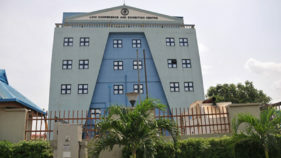 The workers also blamed the massive retrenchment on the inability of the Federal Government to meet its joint venture obligation with the international oil companies which are major partners with the marine logistic companies. Some of the companies that have already made an exit include Mitsui O.S.K Line, Nippon Yusen Kasha, Taiwan’s Evergreen Line, Messina Line, Hapag-Lloyd and Gold Star Line (GSL), among others which were forced to withdraw from the West Africa route due to growing losses as a result of declining volumes. The President, Dockworkers Union of Nigeria (DUN), Anthony Emmanuel Nted, yesterday bemoaned the poor state of the ports, terminal and work environment in the maritime industry. 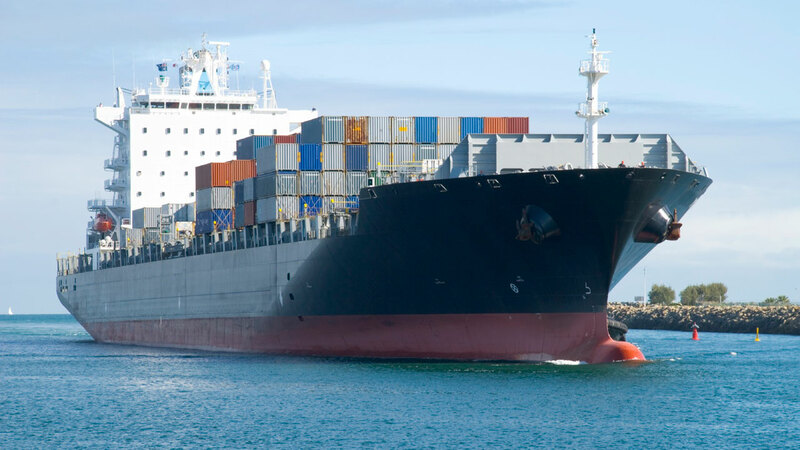 Nted revealed that about 20 shipping firms have left the shore of the country because of low traffic occasioned by government importation policy. 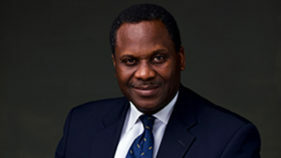 According to him, Nigeria as an import-dependent country cannot suddenly ban the importation of the principal goods being generally consumed in the country. “Hence, the current government policy on importation though with the best intention seems to be wreaking more havoc on the economy and ought to be reviewed urgently,” he said. He, therefore, urged the Federal Government to review the ban on the importation of rice, wheat, vehicle spare parts and industrial machinery until the nation is able to produce for local consumption. He added that the failure to do this would encourage smuggling, diversion of ships to neighbouring countries, idle ports, retrenchment of workers, unemployment and general loss of revenue to government. According to him, some of the employers of Intels and other logistic companies, which render services to the IOCs are being faced with financial challenges and therefore forced to retrench workers. But Nted decried the alleged moves by the Nigerian Ports Authority (NPA) to sack a section of dockworkers, tally clerks and onboard security men. He lamented that the volume of vehicles imported into the country through ports has collapsed to an all-time-low, with the consequent loss of thousands of jobs in the industry. This was attributed to the duty regime introduced since 2014 and the implication of the new exchange rate for duty calculation, which has made the importation of cars and trucks too expensive. “In the last two years the number of vehicles in Nigeria has shrunk by almost two-thirds, while the volume of cars smuggled through Cotonou continued unabated,” he said. Also, the Maersk Supply Service, a part of Danish shipping and offshore energy conglomerate Maersk Group, is apparently adopting austerity measures as it moves to reduce its Offshore Supply Ship Vessel (OSV) fleet by 20 in the next 18 months, even as it plans to reduce its crew pool by 400 offshore positions. The company said that the divestment plan was a response to vessels in lay-up, limited trading opportunities and the global over-supply of offshore supply vessels in the industry. The Chief Executive Officer of Maersk Supply Service, Jorn Madsen, said: “We are facing unprecedented market conditions, and regrettably we have to further adjust our crew pool. It is an unfortunate, but necessary step to safeguard the future of our company”. Madsen said as a consequence of the fleet reduction and the flagging of existing project vessels to the Isle of Man registry, around 400 crew members would be made redundant as a “necessary step to safeguard the future” of Maersk Supply Service. “The decision was taken in an attempt to improve the efficiency of the company and to stabilise the liquidity and cash flows. The redundancy process is expected to be completed by the end of September 2016,” he stated. Everything is falling apart for Nigeria. can you show me the light shining. With the report above, can you see the light? People are losing their jobs on daily bases and you call that shining light? Graduates are roaming the streets looking for job, any job that can enable them buy pure water to drink and you are saying light is shining. Those who are working can not receive salaries for up wards ten months and you are talking about shining lights. Okorocha and some other states are sending their workers to farm and salaries are being reduced and you are talking about light shining. It is either you do not know what it means for light to shine or you are deceiving yourself. Thanks for the Sermon. Faith is wonderful and what remains for the faith less is death. However,Faith is not dormant. Faith is an active thing that should be practiced with its desired actions. A man that is hungry does not have to stay preaching faith and not do something to prove his faith. Buhari’s Government is not doing any thing and those who have faith are beginning to doubt if works are really evidence of faith. When you labor and see no result because one hopeless man is a clog on your wheel of faith journey, you can not but become discouraged. A blessing in disguise. We can no longer continue to be an import dependent nation. Time to look vigorously inwards to meet or needs. Agricultural produces should be banned totally while mechanical and electronic components required for industrialisation should be allowed in to the country. RE POSTED After 9 months and 1 week now. Nigerians please and please obey and find solution to your problems. There will remain confusion, disunity and immense hardship all through Buhari’s regime. Not my wish but what Nigerians will witness because Buhari has no good mission or vision for the country. The only things that can change these things from continuing are: 1) Buhari must admit openly he has been manipulating the system instead of proffering solutions. This, he will never do. 2) After that, he must sincerely look for qualified Nigerians to assist his steering this ship of Nigeria instead of APC members who knew next to nothing about their ministries. 3) He must allow the judiciary and the national assembly stand each separately as independent arm of the government. 4) He must fight corruption not pretending he is not corrupt, but because they have all installed and benefited from corruption and God is not happy with any of them. The implication is there should be no sacred cows being protected directly or indirectly by him. 5) If Nigerians want God to intervene not minding Buhari, they must love and accept themselves as one people above ethnic or religious affiliations. 6) They must agree Buhari is no messiah to save Nigeria from its predicaments. Finally, the choice is either in the hands of Nigerians to do the two things advice or continue to suffer all through Buhari’s regime or for Buhari to comply with the outlined instructions so that God can lead Nigeria out of its sufferings. Buhari and APC, came to change the fortune of this country to destruction. All the so called trillions so far made from oil and those returned by alleged looters are not felt in any way. Scaremongering!! Imports have been declining for the past three years. Some of these shipping lines mentioned left years ago. Re-aligning, downsizing and redundancy in the oil industry is part of the global turn of events in the oil sector. And in fact, if you look at the published forex allocations, its amazing that the bulk seems to be school fees, medical, visa card payments and other intangibles that we don’t understand, and not raw materials for industry. I wonder how many Nigerian children are in schools abroad, vis a vis the volume of forex allegedly allocated to them (roundtripping at its best!!) I hope the banks will comply with the CBN directive that 60% of all allocation should be for industrial raw materials. With improvement in the power sector and there definitely has been an improvement, there should be a reduction in the manufacturing costs, which should lead, in theory to lower prices and higher volumes, despite the increase in exchange rates, and more employment. But it takes time, and Nigerians are always in a hurry to go nowhere. Patience and hard work is what is needed now.